The SHISEIDO SPA Milan extends on a total of 1000 square meters across the 6th and 7th floor of the Excelsior Hotel Gallia. The 6th floor is completely dedicated to individual treatments, with superb rooms in which to benefit from Shiseido exclusivity. The Make-up Corner and the Hair Salon - available upon request - offer extra pampering to complete the guest's beauty rituals. While admiring the panoramic view from the 7th floor, guests can relax in our indoor swimming pool, or enjoy the fitness area featuring Technogym® equipment, the Golf Simulator, and the wet and relax zones with the exclusive Himalaya Salt Cabin. The pool is located in the beautiful setting of SHISEIDO SPA Milan, 1000 square meters entirely dedicated to body and mind. Be seduced by an intriguing play on light and a sparkling atmosphere. The combination of harmonious and sophisticated details are the true hallmark of SHISEIDO SPA Milan, the first spa of the brand in Milan. Start a new wonderful day in the Italian fashion capital with a morning swim and indulge in an invigorating moment in the Jacuzzi. Indulge in the opulence of the Private Spa Suite, a romantic exclusive refuge for your wellness. A haven of relaxation in an intimate atmosphere welcomes you and your best friend or loved one to a private journey of well-being. The Private Spa Suite offers couples a special intimate heaven for massage treatments including an elegant relaxing area, private Jacuzzi and Ice Fountain. Through a private access, guests can also benefit from an unforgettable spa experience including sauna, Turkish bath, shower, changing area and bathroom facilities. Book now your Private Spa Suite Experience. 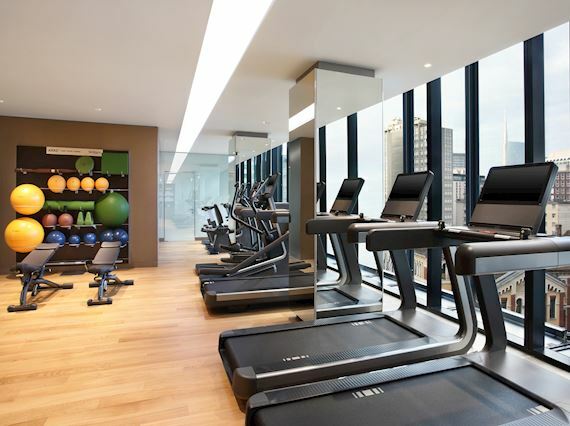 The Fitness Area is located at the 7th floor of the hotel. The panoramic view over the city makes your workout an unforgettable experience, taking advantage of natural daylight and ample modern space. Reinvigorate your body and unwind your mind with Technogym® equipments. Technogym® offers the ultimate technology and high-quality professionalism, entertaining guests with the most prestigious tools for your wellness and fitness. The Fitness center is open 24/7 and complimentary for all hotel guests. A personal trainer consultancy is available upon request. You don't know where to start with your training plan? Reserve a session with a personal trainer at our Fitness center and create a training plan tailored to your needs. Virtual Golf is an innovative simulator equipped with the most modern technologies able to give you an extraordinary realistic play experience all the year with every type of weather. The sensors of the carpet assess precisely the power and trajectory of your shots. 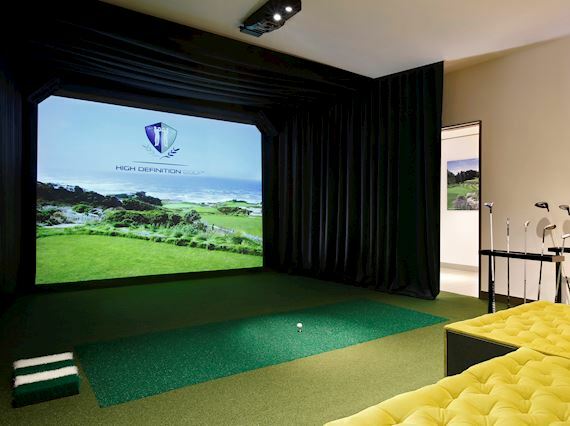 The Golf Simulator is free of charge for 1 hour per day for hotel guests and available for external guests at a charge. You can also be followed by one of our skilled PGA members. Choose between single or multiplayer mode and virtually walk on 24 of the best golf courses in the world including the legendary Old St. Andrews and Pebble Beach. The giant high definition screen will make you feel like playing on an actual golf course.